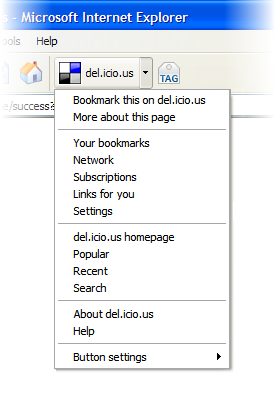 The del.icio.us team has announced an early beta release of the del.icio.us bookmarks extension for Internet Explorer. This is a good news for all IE user. Yahoo finally released toolbar / button for Internet Explorer. This software is in beta and works like a charm. There are similarities between this version and the recently released Firefox 3 beta extension — including features such as the del.icio.us Sidebar and Toolbar for quick access to your bookmarks. The extension works on IE 6, IE 7 and IE 8 beta for both XP and Vista. Check out the del.icio.us blog for more information. To download Internet Explorer release go to the delicious-ie-extension site. Windows Vista service pack (SP 1) is a collection of updates, security fixes and/or enhancements to a Windows vista operating system. It will be delivered in the form of a single installable package. Microsoft has released Windows Vista SP1 Release Candidate (RC) version. Windows Vista SP1 is an update to Windows Vista that addresses many issues including feedback from Microsoft customers. In addition to previously released updates, SP1 contains changes focused on addressing specific reliability and performance issues, supporting new types of hardware, and adding support for several emerging standards. SP1 also addresses some management, deployment, and support challenges. It will also fix many bugs and security related issues.